The days are just getting busier and busier as we get closer to Christmas, it seems. I find myself so wrapped up with getting us all where we need to go, and making sure Luke's still eating appropriately, that my own diet is falling by the wayside. Sometimes breakfast or lunch is a cold leftover half a chicken breast and a tangerine. It's ludicrous! Then I remembered we used to LOVE eating overnight oats when I was into doing things like planning ahead 😆 It really helped my husband and I out so much in those super busy mornings! You know, like Sundays when we're all rushing around and I'm trying to get us all fed, dressed, teeth brushed and out of the house an hour after Luke has gotten up, and at church on time! Such a struggle! Having a breakfast that I prepare the night before and let do it's thing in the fridge? GOLD. MAMA GOLD. That morning, it's one less thing I have to worry or even think about. Simply pop open the jar, throw a spoon in and boom- breakfast is served. 1. Into a bowl, whisk together the coconut milk, maple syrup and chia seeds. Mix until well combined. 2. Into another small bowl, mix together the cranberries, pumpkin seeds and cocoa nibs. 3. Into 3, 8oz glass mason jars, divide out the cranberry mixture and add to the bottom. 4. Carefully pour the chia pudding mix evenly into the three jars. 5. Place a tight fitting lid on each, give it a good shake, and allow to sit in the refrigerator for 8 hours. 6. Once set, enjoy as is, or top with a heaping tablespoon of sunflower seed butter (or peanut butter if you can tolerate that)! Make sure to look for a canned coconut milk that is creamy. I can’t guarantee good results unless you use the brands I recommend. I believe Whole Foods 365 brand works well and Thai Kitchens Organic Full Fat Coconut Milk. They do contain guar gum (I know, I know), which may be why it helps create a smooth texture. 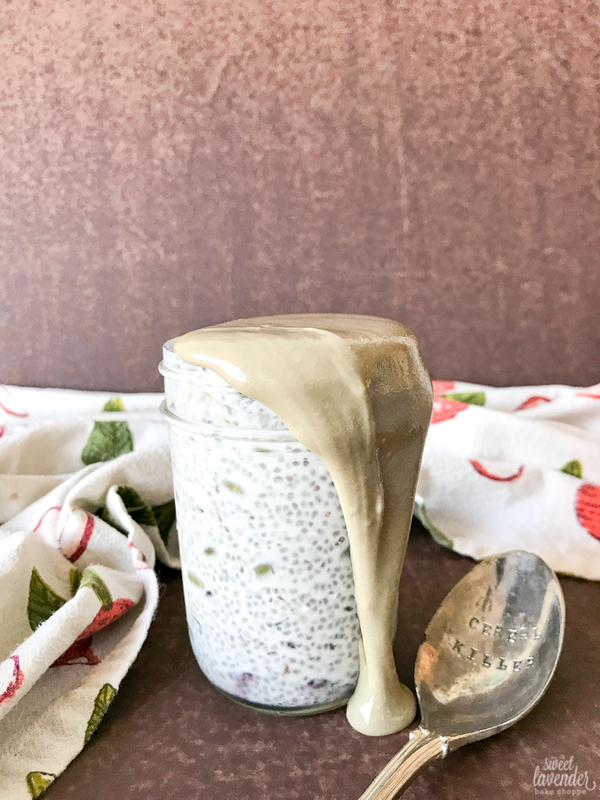 Brands that do not contain guar gum are more likely to have some separation and/or become grainy, which will result in a separated or grainy chia pudding.